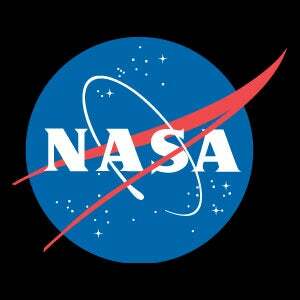 The New NASA: When In Doubt, Privatize? The WSj is reporting this evening that the Obama Administration, in an attempt to get NASA doing more space and environmental stuff, will float the idea of using private companies to ferry astronauts into space, among other things. The policy change, described as controversial by those in the know, will be included in the Administration's next budget proposal. Ultimately, the plan would establish "a multiyear, multi-billion-dollar initiative allowing private firms, including some start-ups, to compete to build and operate spacecraft capable of ferrying U.S. astronauts into orbit-and eventually deeper into the solar system," reports the WSJ. Safety concerns are at the top of the list of objections to the plan, as are concerns over shifting NASA funds for existing programs to a private initiative. Other additions to the NASA budget include stepped up climate-monitoring programs, and better cooperation internationally for manned and unmanned space programs. Unsurprisingly, private contractors like Lockheed Martin are lobbying for such a shift, as they could experience substantial gains should a new private NASA wing open in the near future. Those opposed to the change, like Arizona representative Gabrielle Giffords, argue that because NASA's budget will remain the same under the new program, at about $18.7 billion, the private programs will only serve to spread the agency more thinly (hence the shifting funds worry stated above). During a hearing last month, Giffords said the private funds could weaken NASA and put human space flight "on hold for the foreseeable future."